The wait is over � KICKER has taken its signature sound quality and put it in exceptionally comfortable earbuds. EB141 Earbuds have the supreme performance expected from KICKER and the comfort to be worn continuously, dramatically increasing retention and providing a secure in-ear fit for today�s active lifestyles. These come with clear silicone tips available in three sizes for every comfort level. Also included with each are a set of Comply� Foam Tips, unique breathable memory foam activated by body heat and becoming ultra-soft, reducing irritation and fatigue. EB141 advanced, full-range in-ear monitors create an optimal seal, funneling pure sound into the ear canal and enhancing the listening experience without raising the volume to compensate for external noise. 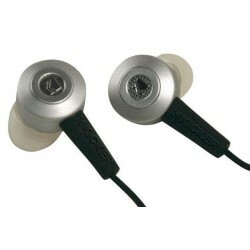 They come with 14-millimeter speakers with strong neodymium magnets for a max output of 118 decibels. These advanced earbuds are the best in its class. Individuality is no problem with four different colors: black, silver, red, and blue. They also come with a wire sync allowing users to live an active lifestyle with no fear of restricted movement. Tangled earbuds are no problem with tangle-free, black woven cloth over KICKER Ultra-Gauge� cable connected to a corrosion-resistant, nickel-plated 3.5mm stereo minijack. The minijack also fits the recessed socket on the iPhone�.